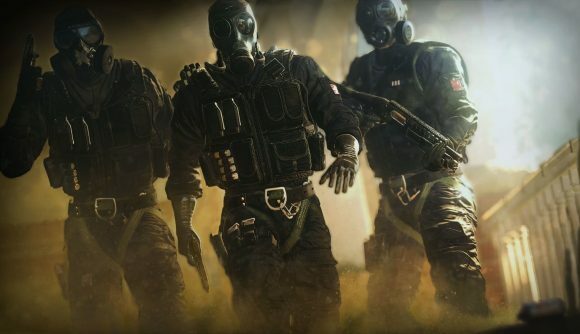 Rainbow Six Siege’s ranked play is likely to leave beta soon. In an interview at this weekend’s Six Major in Paris, we spoke to the game’s brand director, Alexandre Remy, about bringing the first-person shooter’s ranked mode out of testing. Ranked play has been available in Rainbow Six Siege since the game was first released back in December 2015. But despite the mode having been available for nearly three years, (and spawning a healthy esports scene) Ubisoft is yet to declare it fully fit for purpose. Remy, however, says that that beta tag could be set to disappear in the not too distant future. The suggestion seems to be then, that once weapon misalignment is fixed, Ubisoft will be one step closer to fully releasing ranked mode. That’s not to say that there aren’t further issues to address, however, so don’t presume that a weapon misalignment fix will be a direct precursor to full ranked play. Remy doesn’t give any further clues as to when Ubisoft might be ready to press that full release button, but suffice to say it’s unlikely to happen with the release of the upcoming Grim Sky expansion. It’s possible that it will release with season four, of course, but I’d say a better bet would be the beginning of year four, which should begin sometime in early Spring, 2019.